Under the Thai family law, there exist two ways in which a marriage can be dissolved. 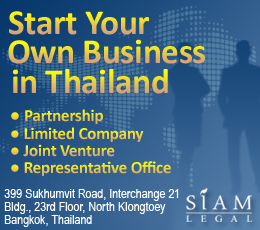 The most common among the Thais and foreigners alike is divorce (see Siam Legal’s divorce page here). Under certain circumstances, however, a marriage can also be declared void by Thai courts. Void of marriage in Thailand is regulated in Chapter 5 of the Thai Civil and Commercial Code (CCC). Either the man or the woman is an insane person or adjudged incompetent. The man and the woman are blood-related in the direct ascendant or descendant line, or brother or sister of full or half blood. The man or the woman is already the spouse of another person. There was no publicly declared agreement to be married recorded by the Registrar. In all cases, a judgment from the court is needed in order for the marriage to become void. The spouses, parents or descendants of the spouse are entitled to apply for a judgment of the court effecting the void of the marriage. In the event that there is none of those persons, any interested person may request a Public Prosecutor to apply to court for such judgment. In case one spouse is already married, any interested person may directly apply to the court. And once a final judgment of the court effecting the void of the marriage is released, the Marriage Registrar is notified by the court concerning the final judgment. A void of marriage will not create property relation. Any property which is possessed or acquired by either party before or after the marriage as well as the fruits thereof remains as that party’s property. All property jointly earned will be divided equally between the spouses, unless the court deems it proper and orders otherwise. Therefore, the Judge takes into consideration the obligation in the family and earnings of both parties as well as other circumstances such as their station or standing in life. The judgment effecting the void of the marriage does not prejudice the rights acquired through the marriage by the party who has acted in good faith. In case one of the parties is already married, the rights acquired are not prejudiced until the cause which effected the void of marriage becomes known to the man or woman. In all other cases, the rights acquired are not prejudiced until the final judgment effecting the void of the marriage is pronounced. In any of those cases, the party who acted in good faith is entitled to claim compensation for damages. This also includes a claim for living allowance in case such marriage made the party in good faith becomes destitute deriving from insufficient income. Furthermore, those claims must be prescribed after 2 years from the date of pronouncing the final judgment, or after 2 years from the day the other spouse has gained knowledge of the existing marriage in the event that one of the spouses is already married. If the marriage is adjudged void, there shall be made an agreement between the spouses in regard to which party will exercise the parental power over any child and which party is responsible for the maintenance of the child. In case an agreement cannot be reached, the court will make a decision about this. In order to assure that a marriage won’t be declared void afterwards, the spouses should be aware that none of the above-mentioned circumstances is given or revealed. Void of marriage in Thailand can be a complex process especially to foreigners and, therefore, it is recommended that both parties consult with a family lawyer who has the expertise on this matter.